Just like their namesakes, crochet mandalas are very beautiful and very meditational to make. This particular one was inspired by the coloured ceramic tiles of Portugal, and despite the Asian origins of mandalas, is very evocative of Lisbon’s old town. The finished mandala is about 9 inches point-to-point, and can be modified in the colors you like. It can be its own thing, or can be worked into a larger project. 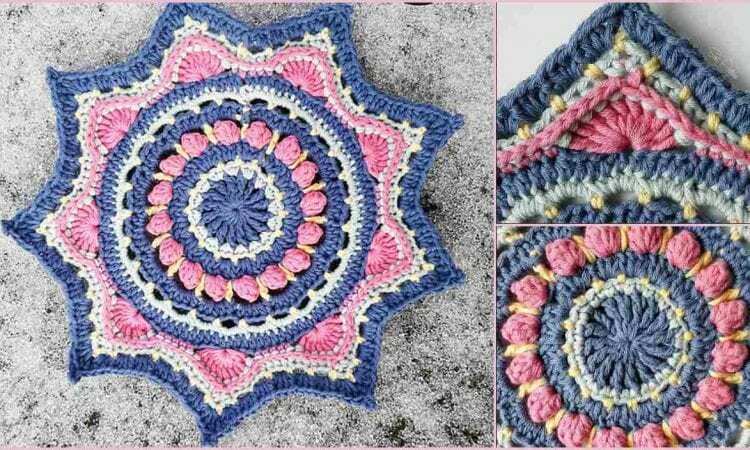 Anastasia A Little Crochet Mandala – visit the free pattern site.